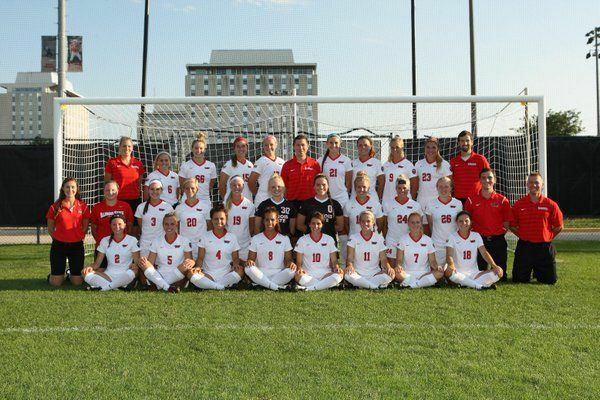 Illinois State University Women’s Soccer Overnight ID Camp is a 3-day event. It will be from June 13 to June 15, . The camp is open to all outstanding 7th to 12th-grade female soccer players. It is conducted by the Illinois State University coaching staff and players. This camp is excellent for players who dream of playing at the elite collegiate level. The players will experience the competitive and fun collegiate soccer environment. They will advance their knowledge on technical and tactical aspects of the game. Physical and mental training will also be provided. The event site will be at Adelaide Street Field. Day 1 will have field and classroom sessions during the day. This includes education about athletic nutrition. The day will end with games in the evening. Then, Day 2 will incorporate speed and agility training. Finally, Day 3 will conclude with sessions and games. Illinois State University is the oldest public institution in the state of Illinois. It currently accommodates around 21,000 students. The university has 17 athletic teams known as the Redbirds. This includes the Women’s Soccer Team. Illinois State University’s identity colors are white and red. It’s Women’s Soccer team currently has 4 players in its conference’s top 20. On December 20, 2016, the university named Brad Silvey as the new Head Coach. 2016 is overall a successful season for the team. Brad Silvey was the team’s assistant coach for the past two years before he was named the Head Coach. Under his leadership, the Redbirds reached 2nd round of the NCAA tournament. He was an elite player at Iowa Western. Also, he is a two-time ICCAC First Team All-Region awardee. Scott Myers and Sarah Tompkins are the team’s new Assistant Coaches. Scott Myers is 2016’s Iowa Conference Coach of the Year. And, Sarah Tompkins is a two-time All-North Division selection awardee. Illinois State University Women's Soccer Overnight ID Camp is a 3-day event open to outstanding 7th to 12th-grade female soccer players.